Did you know that the quickest way to establish if a car is a true roadster is to try and grab the rear wheelarch from the driver's seat? If you're seated close enough to the rear wheel to do so then you're sitting in a true to the word roadster. 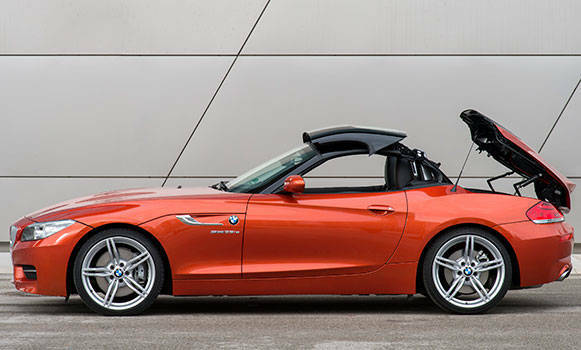 The Z4 has always qualified to the standard with a gorgeous, almost impractically long bonnet, with the two seat cabin positioned close to the rear axle. 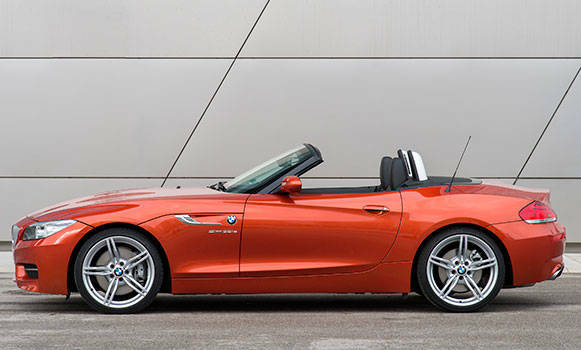 At first glance, the new, 2014 version of the Z4 is almost identical to the old. 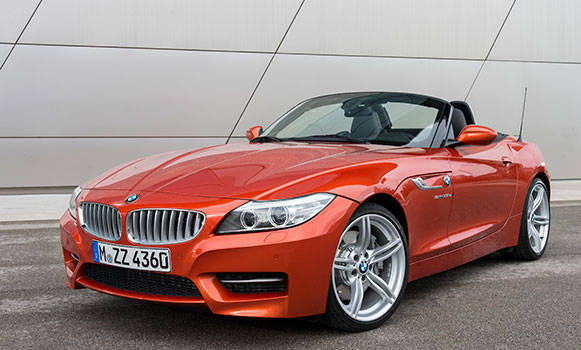 Of course, there are a few changes so here's a quick review of the refreshed version of BMW's only roadster offering. Styling remains very similar but there are a few small tweaks such as some fresh LED detailing in the headlamps and a restyled front bumper. The side indicators mounted in the chrome detailing behind the front wheels are new as well. The company offers three new colour options and you also have the option to go with a contrasting roof colour. There are also a couple of new alloy wheel designs available. All in all the Z4 still cuts the same handsome design. The story is the same on the inside; almost everything is the same but there's now the option of a thick orange stripe along the seats that's a bit garish for our tastes. What's nice is the smart new metal garnish along the centre console. 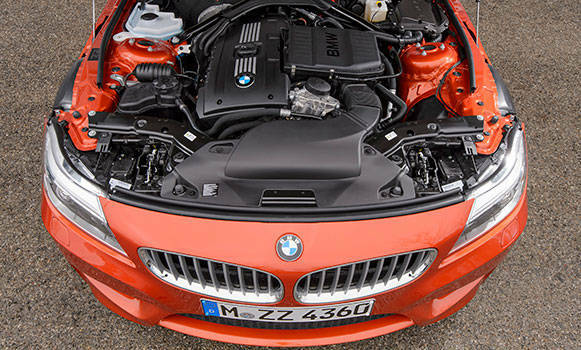 BMW offers the Z4 with a range of 4- and 6-cylinder petrol engines, but India only gets the second most powerful Z4 sDrive35i. The car we drove was the top end sDrive35is which offers 340PS as against 306 in the standard 35i. Both cars get the same 7-speed dual clutch transmission from the M5. Power comes from a twin turbo 3.0-litre straight six that's creamy smooth and offers great flexibility. BMW quotes a 4.8 second time to 100kmph while the India-bound sDrive 35i will hit the ton 0.3 seconds later. The car also produces a lovely six cylinder growl that progressively turns to a delicious shriek at the 7000rpm redline. The Z4 rides with stiff damping that's apparent even on Germany's smooth roads. The roadster also has a sense of heaviness to it that reminds that you're in a hefty (at over 1,500kg it's no lightweight) machine. Fortunately, the 35i rides 6mm higher than the 35is at 130mm, and though it's a small difference, it will definitely make life easier on our roads. The refreshed Z4 will go on sale by the year end but there's no word on pricing yet. Given the rising costs of just about everything on sale today it's safe to assume that the new Z4 will come at a higher price than the current model's rate of Rs 70lakh ex-Mumbai.